Clear all jellies and reach 25000 points to complete the level. This level is again much hard and you need to break jellies that are stuck between chocolates machines. For this level you need to play near machines so chocolate wont increase and then use special candies or use move to break jellies. This level might need luck and after moon stuck few jellies could break automatically and it will help you to reach requirement. 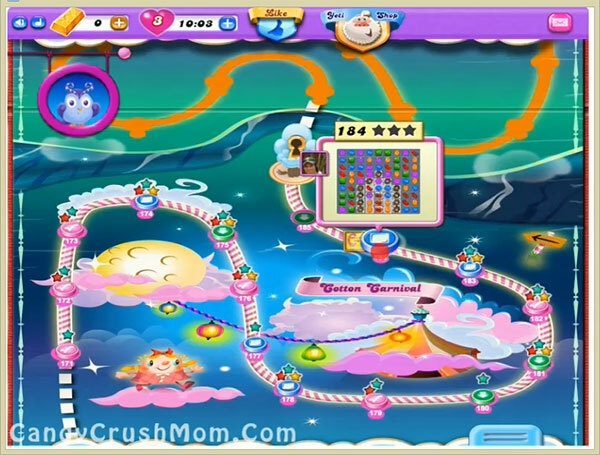 We completed this level with 117840 score with playing near to chocolate machines and got few colorbomb that help to end level with three star score.